The banana plant belongs to the Musaceae family, the genus Musa, and it is native to the South Pacific. It is the largest perennial herb with leaf sheaths that form trunk-like pseudostems. The rhizome is the banana plant's true stem. It is commonly referred to as a corm. Root development may be extensive in loose soils, in some cases up to 9 m laterally. The plant has 8 - 12 leaves that are up to 2-4 m long and u to 1.5 m wide. 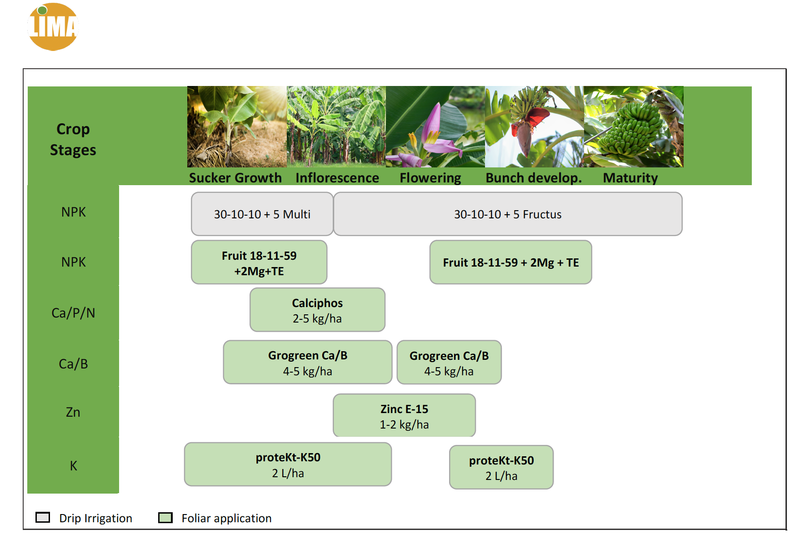 The banana growth cycle has 3 stages: Vegetative development (6 months), Flowering (3 months) and Fruit stage (3 months). This means the time between planting a banana plant and the harvest of the banana bunch is from 9 to 12 months, depending on the variety grown and growing conditions. Climate: Warm weather and constant humidity in the air. It needs an average temperature of 26-27 ºC, with prolonged and regularly distributed rains. The necessary rainfall varies from 120 to 150 mm monthly. The lack of water at any time can cause reduction in the number and size of fruits and in the final yield. Banana plants do best in protected areas, because they are susceptible to wind damage. Light: If the light decreases, the vegetative cycle will extend. Soil: Suitable soils for this crop are loam, clay loam and silt-loam soils. Soils should be fertile, permeable, deep, well drained and especially rich in organic material (> 2.5%). pH: Bananas show great tolerance to soil acidity, but the pH optimum values are between 6 and 7. 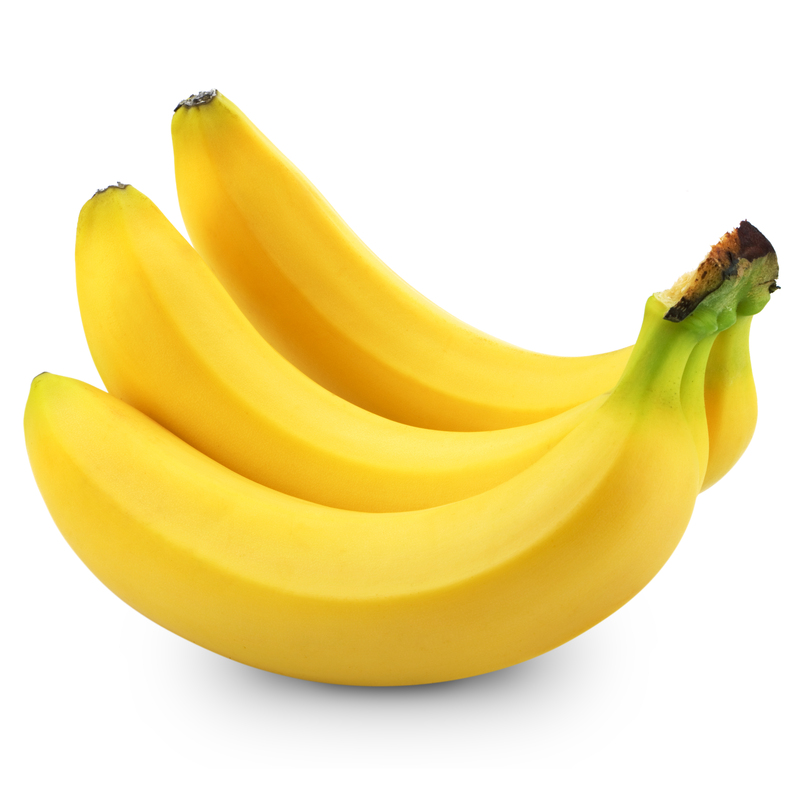 Irrigation: Banana is a crop that requires large amounts of water and it is very sensitive to drought, especially if temperatures are higher than 20° C, since it makes flowering difficult and causes problems in foliar development. Nutritional requirements kg/t banana produced. The extensive area of plant leaves makes banana plant a natural candidate as a complementary feeding channel. Lima Europe has a wide range of foliar fertilizers and special products for foliar application. In subtropical regions: Three to five spraying treatments at 3-4 week intervals. Recommended concentration for ground application is 2-4% dissolved in 300- 400 liter/ha spray solution.